Share best practices and time-tested methodologies to create narrative worship experiences. With an emphasis on creativity over style (traditional/non-traditional), this exploration has something for everyone – regardless of church size, worship styles and budgets. With a passion for creativity and image, Jason Moore is working to change the world through deep, meaningful, creative worship. 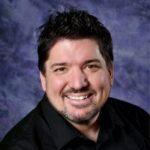 Jason is driven to help churches of all sizes, worship styles and means become as effective as possible in communicating the gospel of Jesus Christ to a creative and increasingly image obsessed world.